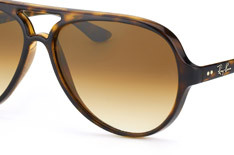 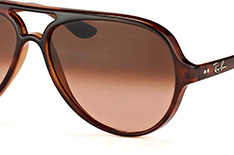 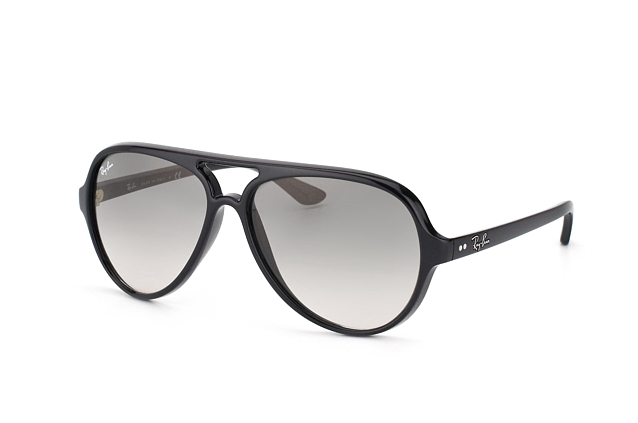 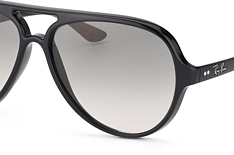 The unisex Ray-Ban Cats 5000 RB 4125 601/32 is a model of stylish simplicity. 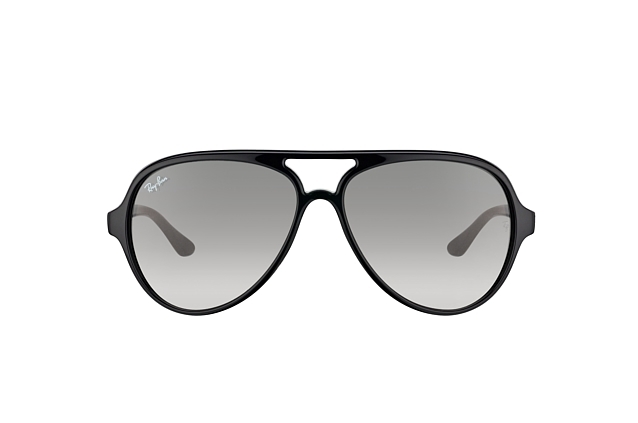 The deep black full rim frame made from durable plastic is paired with grey gradient pilot lenses complete with UV400 filter. 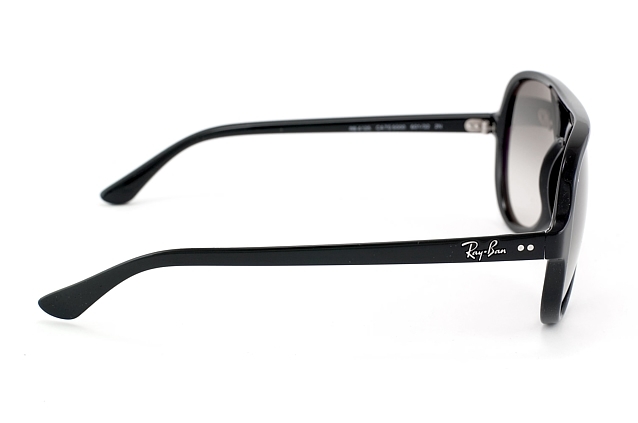 The temples are adorned with silver rivets and the famous Ray-Ban slogan.